Parents Guide to Utah Summer Camps! - Ski. Play. Live. Parents Guide to Utah Summer Camps! Ah, the summer. The green, the trails, the sun, the dogs, the kids screaming for attention. School’s out which means you’re in. But cut yourself a bit of slack and enroll Junior in one of the many Utah summer camps happening throughout the state. Don’t feel guilty. You were never meant to play at a fourth grade level 24/7. The list below is by no means all-inclusive so if you know of a camp, feel free to add it in the comments section! 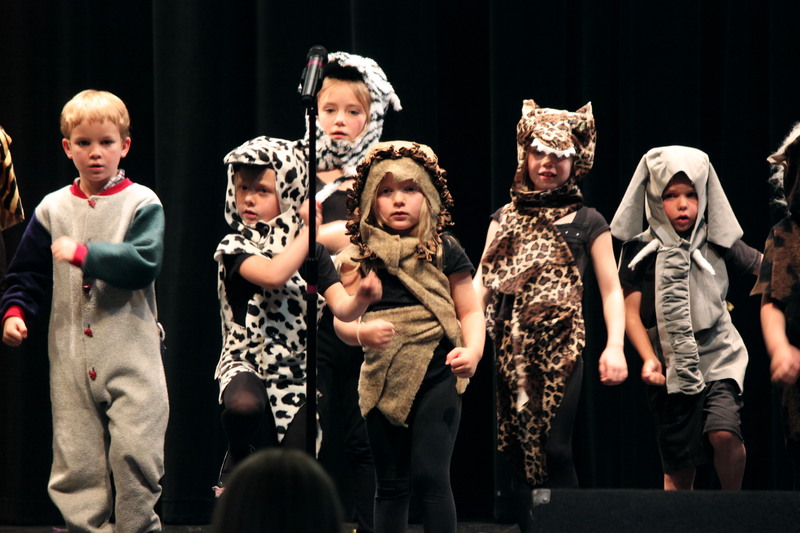 The Camp Invention program at Weilenmann School of Discover and Parley’s Park Elementary in Park City is a week-long adventure in creativity that immerses children entering grades one through six in exciting, hands-on learning disguised as fun summer activities. Led by local educators, boys and girls are challenged to explore connections between science, technology, engineering, and innovation. Participants might spend their time creating and “selling” items in a virtual world that will benefit their avatars’ lives to learn about economics in the real world; or deconstruct gears and guts and upcycle them into exciting new innovations, then learn how to market them to peers. Or design design life-saving devices, marine exploration vehicles or rocket ships. Early and alumni registration discounts are available. Spaces are limited. For more information, call 800.968.4332 or visit www.campinvention.org. Camping at the Y is a fun and unique experience that gives children and teens the opportunity to discover their full potential, meet new friends, play and create memories that last a lifetime. Through camping children and teens explore nature, become a community and develop confidence, independence, leadership and social skills. Archery, arts & crafts, hiking, Team building, mountain biking, orienteering, swimming, horseback riding & more. There’s even a family camp in July if you just can’t bare the separation. Camp Roger’s first session begins June 7. Register online at www.ymcacamproger.org or call 801-839-3384. Even tiny tots get camp. For four days each week, the wee 3-5 year olds can explore a unique theme that encourages learning, creativity, adventure and fun. Camps are from 9:00 – 12:45 Monday through Thursday. All camps are open to the general public. www.parkcitycoop.com. Who says you have to hang up the skates in the summer? PC Ice Hockey is hosting two new summer programs that won’t break the bank. Summer Ice 2015 includes 11 skills and drill sessions, 5 drop-in sessions, 6 power skating sessions and 12 off-ice training sessions for a total of 34 sessions for just $200. Don’t worry about missing sessions. Even if you make 1/2 of the sessions, it is still tons of skating. The Girls Summer Ice 2015 is a new all-girls program that includes 8 hockey ice sessions and 6 power skating sessions for $140. Go to www.pciceminers.org and click on Register on-line to sign up now. Hurry. The Summer Ice 2015 session is limited to the first 80 players and it sold out last year. Competitive Figure Skating Camp: Ages 8 & up. Must have passed pre-preliminary Free Skate & be working on an axel. Create Your Vacation at the Kimball Art Center this summer. All day summer art camps are available for 6-10 years olds. Available Monday – Thursday, June 8 – August 13, 2015. 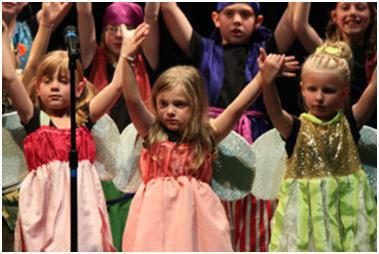 Dozens of classes are available for tots (3-5), kids (5 – 10), tweens & teens (11 – 17), families (all ages) and adults. Whether you want to learn how to paint, sculpt, draw, photograph, mosaic or make ceramics, there is a class for everyone. 435.649.8882 or www.kimballartcenter.org. Dance Tech Studios, Park City’s premiere dance program and facility, is offering summer dance camps/intensives for girls and boys, ages 3-18. Whether your child’s interests lie in “Princess Dance Camp” (ages 3-6) camps where girls explore ballet, jazz, tap and creative movement, or in the exclusive and highly demanded “Boys Xtreme” hip hop/breakdance camps incorporating all the latest “tricks” taught by the finest hip hop/breakdance guys. Little man camps are for “guys only” ages 5-14 (age groups are separated). If your child is interested in trying all forms of dance and a truly unique experience, the “Dance Intensive” program is for dancers 5-18. Dancers will receive professional training (beg-adv placement levels) in Ballet, Jazz, Hip Hop, Contemporary, turns/leaps, flexibility, yoga/Pilates for dancers, Cardio conditioning, choreography and much more. Camps are held Mon-Thur. Pre-Registration is required for all camps and is limited. www.dancetechworld.com or 435.655.9213. 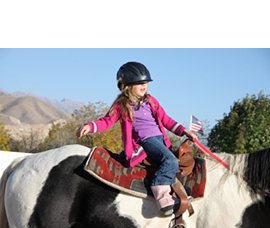 Park City/Heber: Two locations to accommodate any child, ages 6 weeks-12 years. All three locations provide bussing to/from summer programs if needed. Bussing space is limited. Summer Camp Weekly Themes Include: Camping, Dinosaurs, Under the Sea, Science, Kids in the Kitchen, Sports, Critters & Creatures ….and more. Half-day or full-day options, Daily, Weekly, Monthly enrollment. Hiking, Biking/Triking, Yoga, Regularly scheduled field trips to: Hogle zoo, Utah Olympic park, Wheeler Historic Farm, Museum of Ancient Life, Community Gardens, State Parks, Creamery etc. www.creeksidekids.net or (435) 655-0195. Swaner Preserve and EcoCenter provides a wide range of summer camp opportunities for youth in K-8. Camp topics include outdoor exploration, environmental education, science, robotics, art, and stewardship. In addition to campers, teens in grades 9-12 can apply to be teen camp counselors and help camp staff lead camp activities and keep campers safe. www.swanerecocenter.org or 435-252-3576. June 8 through August 19 (closed July 3 & 24) for children two months to 12 years of age, offers creative and challenging activities and interests to ensure campers have fun while learning. Summer Adventure Camp is located in Snow Park Lodge at the base of Deer Valley Resort. Counselor ratios are one to three for infants, one to four for toddlers and one to eight for older children. Exciting field trips are planned weekly to explore a variety of recreational resources in the area. Hiking, mountain biking, basic biking skills*, swimming, rollerblading, scavenger hunts, wet and wild water games, volunteer projects and creative arts and crafts are all part of this fun and educational program. www.deervalley.com or 435-645-6648. Full-day adventure camps, skate camps, tennis, swim lessons and more. Please visit http://www.parkcity.org for more details. Offering two, multi-sport triathlon camps for kids, ages 5-12 years old, June 22-26 & August 3-7, designed to introduce multi-sports training in a positive and fun environment. All athletes will receive training in swimming, biking and running and how to transition between events. www.trikids123.com. The Ballet West Academy offers a fun, stimulating dance experience designed to increase the strength and technical abilities of both male and female dancers between the ages of 3-26. The 5-day Freestyle Summer Camp for ages 7-18 years old is like no other in the state. Go big with FLY Freestyle for fun-filled days of freestyle and freeride water ramping into the Big Air Pool and bouncing on the trampolines. Utah Olympic Park’s coaching staff are made up of top-level freestyle and freeride skiers. Participants will master new tricks, catch air and have a great water ramp experience. Camps are designed to help athletes of all abilities become more confident in the air and on their skis in the water so they’re ready when the snow flies. The Fundamentals Camp introduces kids to multiple sport experiences and reinforces physical education, agility, balance and coordination. Adventures in the Natural World NHMU Summer Camp brings science and nature based camp experiences to your kids, K-8th. The week-long half-day or full-day camps take full advantage of the Museum’s exhibits, outdoor spaces, and the natural environment of the foothills. https://online.nhmu.utah.edu/summer-camp-2015/sc15-camp-landing-page. Hale Centre Theatre offers three sessions of summer camps for students ages 6-18. Two-week sessions are offered in June, July and August. Each camp runs Monday through Friday from 9:00 a.m. to 4:00 p.m. A half-day option is available from 9:00 a.m. to Noon or 1:00 p.m. to 4:00 p.m. 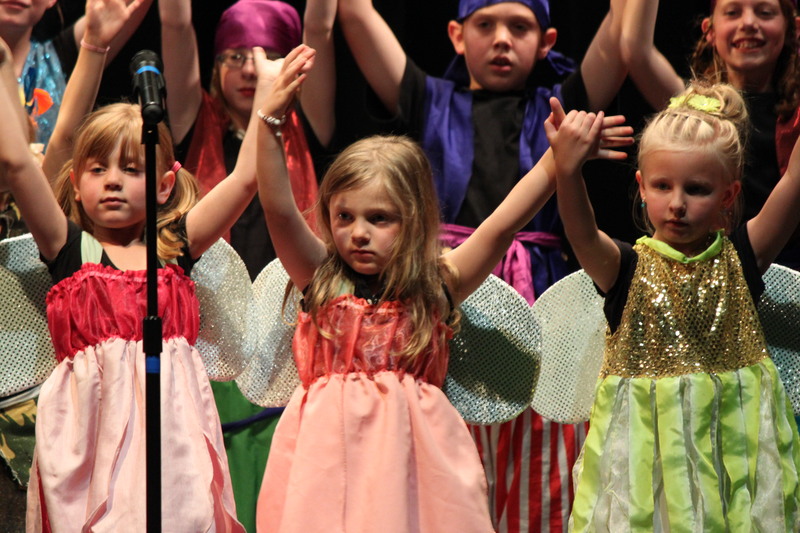 Classes include Acting, Singing, Theatre Dance, Voice, Theatre Art, Stage Combat, Magic and Audition Techniques and culminates with a talent showcase. http://bit.ly/1IpSFAv. These are all wonderful! We have several parents and students here in the valley that would love all these camps and fun activities for the summer. Wow! I had no idea there were so many camps! I will have to remember this for when my little guy is old enough! Anna Pocaro Photography will be holding a Kids Photography Summer Camp in SugarHouse, 2016! Anyone with a child and a camera knows that children LOVE photography! Children are naturally creative. With photography they can discover new and exciting ways to take creative risk by exploring their surroundings and showing their unique view of the world and people around them. At Summer Photography Camp for Kids we’ll learn about basic photography concepts: lighting, subject matter, composition. We’ll learn basic camera functions. Everyday we’ll be discovering a new style of photography by simply putting it to practice and using our creative abilities and cameras! Get ready to have fun! We will be working together daily and sharing loving critiques of each child’s images. We will be printing their work to share with family and friends each Friday of camp. Digital cameras will be available, but your child is encouraged to bring their own if they plan to carry on with photography beyond this camp! $115/week	snacks will be provided. call Anna Pocaro Photography to register your child today! apocarophoto@gmail.com // SugarHouse // 1983 Redondo Ave.
Great idea for a camp! Thanks for adding it.